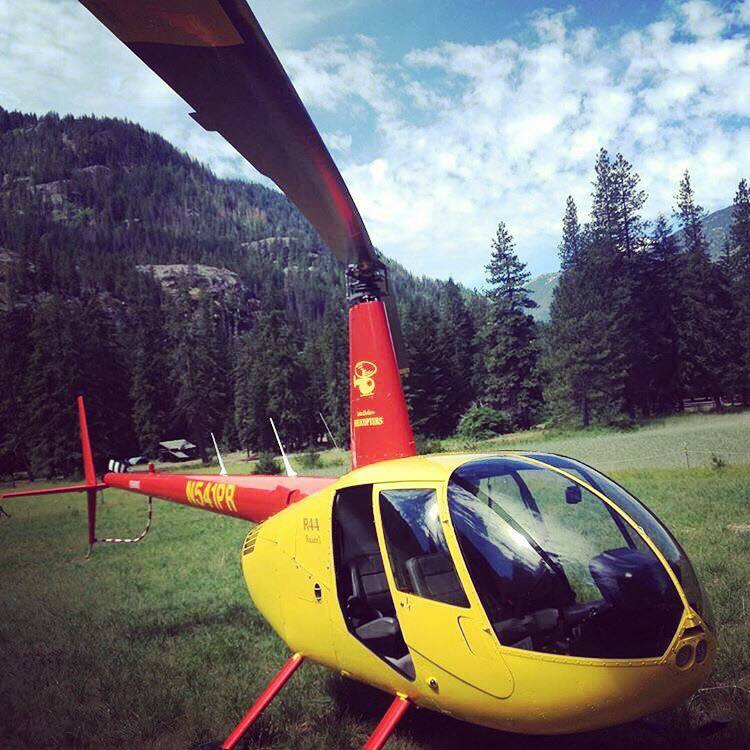 Some people ask “why did you choose this helicopter?” There are several reasons why this type of helicopter fits the things we do at Lake Chelan Helicopters. Most helicopters are the sum of many, many parts. Each part has a life time of use. When each part’s hours are used up they must be changed. Another helicopter we owned was this way. The engine, blades, frame, control tubes all had different lifetimes so you were changing out part every few months or so. This method meant we were always replacing and paying for something most of the time. This necessitated having a mechanic around a lot. The Robinson helicopter was designed with the small or private operators in mind. All their time limited parts are due at one time. Either 2200 hours or 12 years a major overhaul is required. This way a mechanic is only required for scheduled maintenance or in the event of a required repair. It allows the operator to more easily schedule finances and not keep a mechanic in their back pocket. Robinson helicopters still need oil changes and routine maintenance, just not the big stuff generally. The model we have, R-44, is a 4 seat with a piston engine. It is basically the same engine found in many airplanes. It is FAA certified, just like in airplanes, and is able to make the 2200 hour TBO because Robinson de-rates the available horsepower. It still generates enough power to get us in the air. While there are many kinds of helicopters out there, this is the one that best fits our operations at this time. Maybe as things change, so will we. I had so much fun in Chelan but the high light was the helicopter tour. Dale is so fun and so genuine! Go see Dale!